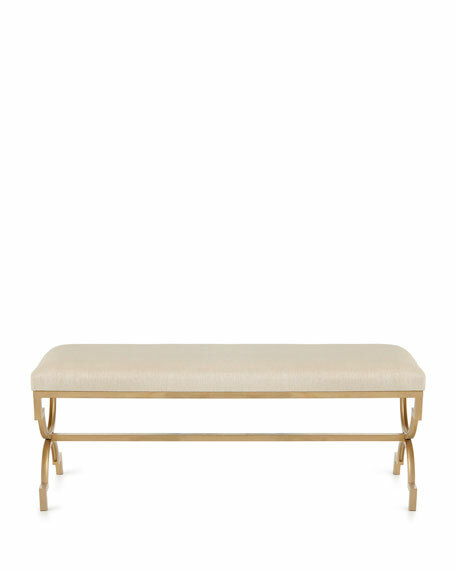 Handcrafted bench in linen upholstery. 54"W x 21"H x 17"D.
Weight, approximately 12 lbs. Boxed weight, approximately 15 lbs.